We all know what’s necessary to reach goals whatever they may be and that’s commitment, perseverance and adhering to a few basic principles. This is true when it comes to losing weight. The energy expended must equal or exceed energy consumed. So what are the basic rules that help our clients achieve their weight loss goals? Eating healthy food: the closer to the farm, the better it’s likely to be. This is quite easy to do, instead of prowling the inner aisles of the supermarket keep to the outside where the fresh produce is displayed. Use a smaller plate: We all love to fill our plates to the when we sit down to a nice meal. Something about it makes it feel more satisfying that way. But the fact is, the average dinner plate, even when filled with nutritious healthy food is still going to be excessive in quantity because dinner plates have grown over the past 20 years. The average size is around 20 centimetres and if you fill this to the brim, you’re going to eat too much. So choose a smaller plate that you really like, buy a nice one if you need to and you’ll naturally eat less while still enjoying the psychological benefit of visually enjoying a full plate of food. Reset your love of fast food: For most of us the purchase of fast food is either an impulsive or an emotional decision. To stop the impulse, we have to exercise willpower and willpower can result in a sense of feeling deprived or somehow restricted. Using hypnosis you can change this response and healthy habits become enjoyable as your attitude to food changes. Move your body: the human body is made to move, movement keeps us healthy, fit and supple. An essential part of any weight management program is taking a reasonable amount of responsible healthy exercise. Use hypnosis to get and stay motivated: hypnosis can help you achieve all of these principles by keeping you motivated and on track. Our clients enjoy achieving their weight loss goals because hypnotherapy makes it seem natural and easy instead of a chore. 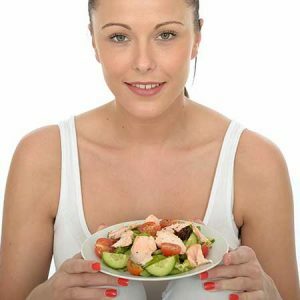 If you’re having trouble with weight control and diets and fads haven’t worked for you, try losing weight in a completely natural and safe way without feeling deprived. It might take a little linger that a crash diet but the results with be there to stay because you’ll have changed the way you think about food and healthy living. To use hypnotherapy for weight loss and to achieve your goals, we’ve friendly and approachable and can help you decide on a program that suits you perfectly.